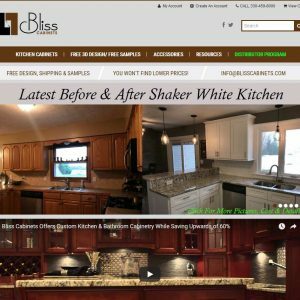 Homecrest Cabinetry is a division of MasterBrand Cabinets, Inc., an industry leader that comprises a breadth of quality cabinet brands. 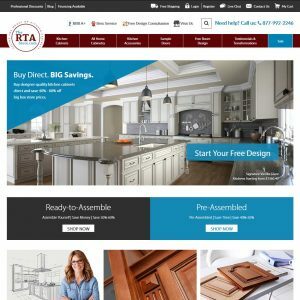 Since 1926, the MasterBrand family has earned its reputation as one of America’s top cabinetmakers, and Homecrest has helped MasterBrand achieve this. Stylish, durable, well-priced – These are the defining qualities of Homecrest and all of MasterBrand’s cabinet lines. At Homecrest, they believe that your home should make your life easier and more enjoyable and because today’s home is always changing – one moment it’s about preparing pasta and, the next, it’s uncorking a good merlot and sharing it with close friends – Homecrest strives to provide life solutions that meet your needs. Homecrest trusts its local partners to work with you on your project. They believe their dealers provide invaluable service that helps make your project happen how and when you want it to. Dealers measure the space, assist with design, order the product and arrange for installation. They also stand behind the product, addressing any challenges that may arise right then, right now. This degree of attentiveness can only be accomplished at a local level. 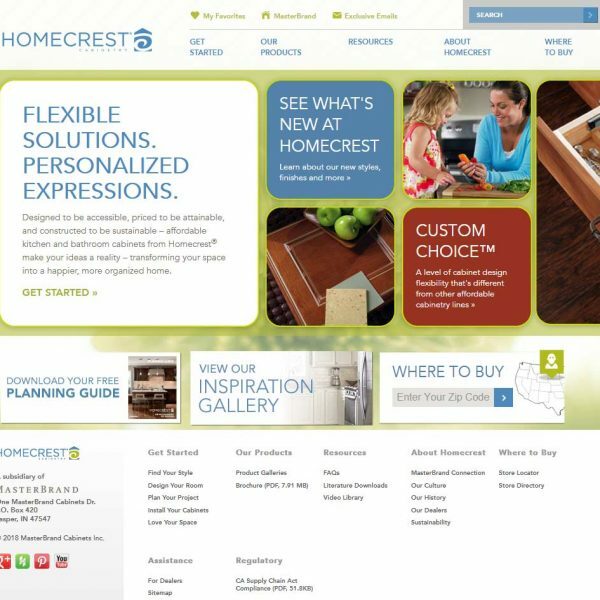 Homecrest Cabinetry are part of the Norcraft/MasterBrand group and are based out of Jasper, Indiana. I just moved into a home in The Villages, FL. The home was built for me by the builder. I only had the choice of Homecrest cabinets. I purchased cabinets with the “stained finish”. The quality of the finish is a POS. They look like they need to have a second or third coat of finish applied. The manuf. rep. is in agreement but is insisting that with a stained finish I will see variation in color. These cabinets have a sprayed-on finish and are not wiped-down as they want me to believe. Now trying to get the manuf. to redo finish. PS. the drawers are stapled pressed board with no self-closing features. Totally low end! I purchased hickory cabinets manufactured by Homecrest, sold to me as a 100% genuine wood product. After about eight years they started to peel. To my shock they weren’t all wood at all,but rather particle board with a paper veneer. 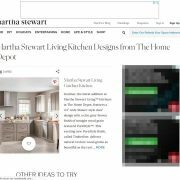 When I wrote the manufacturer about the misrepresentation of material used, they responded by stating that there must be an extreme amount of moisture in your kitchen and that was what the problem is. Never any mention of the fact that the material wasn’t wood, just must be some moisture in my kitchen. Let’s see I wash dishes, I cook in there, yeah I’s say that there is some moisture in the kitchen. Come on fellas, really that’s a pausible reason for supposedly well made wood kitchen cabinets to deteriate? Run like hell from Homecrest, they will still charge premium prices for a shody product. 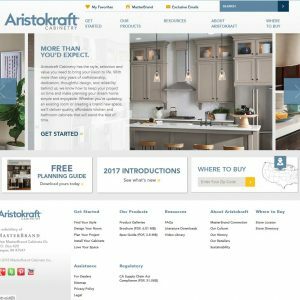 I’ve had other Masterbrand products in the past and as things are a little tight at the moment and we needed a new kitchen we went with Homecrest. 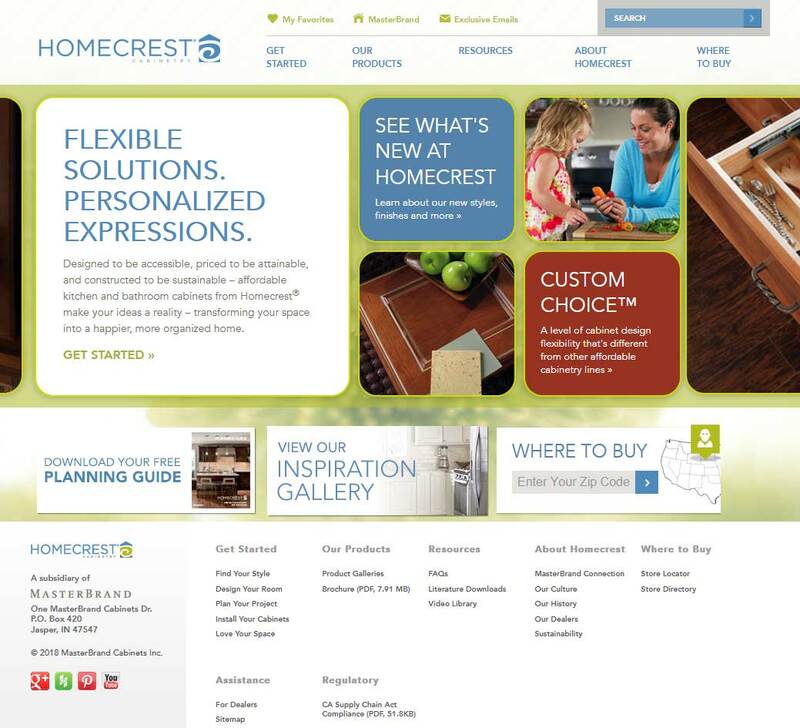 Important: all reviews for Homecrest Cabinetry should comply with our review policies here.